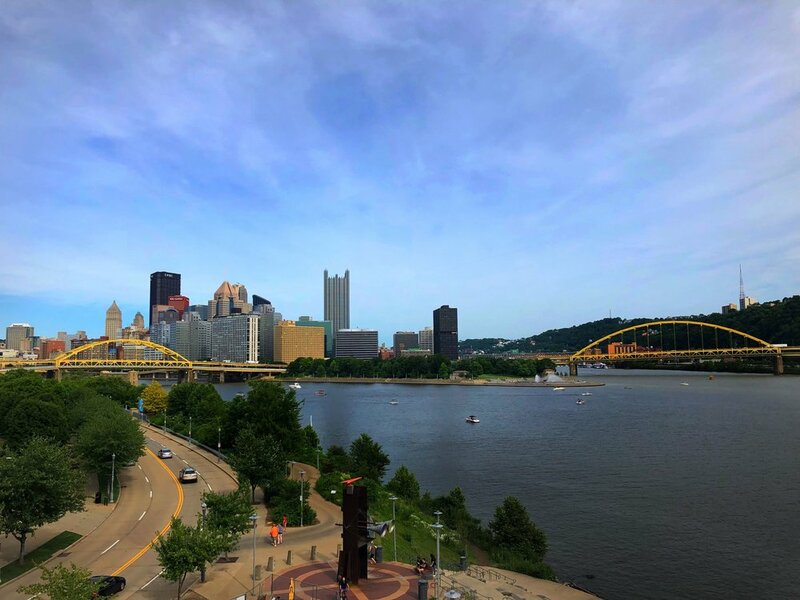 Located in the heart of downtown Pittsburgh, making it walking distance to many of Pittsburgh's great attractions like the Andy Warhol Museum, the National Aviary, + all of Pittsburgh's main sports arenas. Pittsburgh's downtown neighborhood is also home to a thriving culinary + bar scene, great parks, and access to beautiful riverfront trails. In essence, everything you need is right outside your front door! The theme of Hotel Monaco is a whimsical adventure. Guests can expect bold, playful, + colorful design that incorporates artifacts and design influences from all over the world. Not only is the design quirky + unique, but Kimpton also offers ridiculously personal service and unexpected amenities. Forgot It? We Got It! Travel essential program, free WiFi with loyalty program, and a fee-free pet friendly policy. The staff truly wants to make sure each traveler's stay is as enjoyable as possible, and they go to far lengths to make that happen. Hotel Monaco was previously the headquarters for Duquesne Light, and then the offices for Reed Smith law firm. You can see nods to these throughout the hotel, such as the screen painted with books behind the front desk, and the picture of a light-bulb in the guest rooms! These include a seasonal rooftop Biergarten, complimentary morning coffee/tea, complimentary nightly hosted wine hour, PUBLIC bikes for rent, and a few other fun surprises along the way.The hotel is also about a 30 minute Uber/Taxi ride or 45 minute bus ride from the airport. The 28X line picks up and drops off just two blocks from the hotel. "I love working on fun partnerships and events for both our guests and the community to enjoy. I used to work at the front desk, and I always enjoyed greeting (and spoiling) the dogs that would come in to stay. I got particularly attached to one dog that stayed with us frequently, and his owner and I are still friends to this day!" "We love that Pack Up & Go Travelers have a fresh perspective. They don't necessarily have high or low hopes for our city - they signed up for this trip with an open mind and we get to show them a fabulous time." 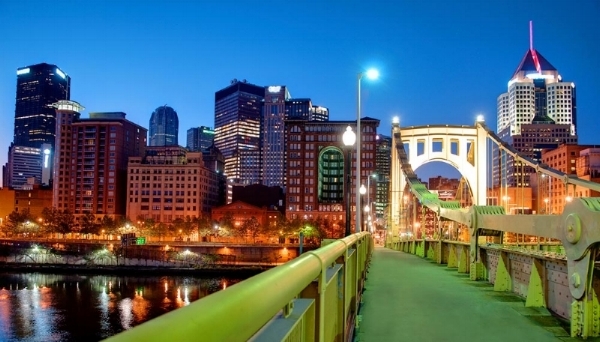 "People may never suspect this but Pittsburgh has decent outdoors scene. There's plenty of water activities on the rivers, and great hiking within an hour of the city. Baseball games at PNC Park are always really fun, even if you're not that into sports. The stadium is so beautiful and tickets are also fairly reasonable, so you don't feel bad splurging on beer and snacks. My favorite restaurant is the eastern-European, vegan spot Apteka in Bloomfield. Don't dis vegan perogies until you've tried theirs." "The Mt. Washington overlook, for sure. Not many cities have the option to view the skyline from above like that."